The open-source hybrid mobile app development SDK Ionic has released version 4 of its framework with a new focus on web components. This is a substantial change to the framework that has been predominantly Angular compatible. “At the end of 2017, we started asking ourselves if our original dream was worth revisiting. It was clear that frontend developers would never settle on any specific frontend framework or libraries, so assuming otherwise was futile. At the same time, we were frustrated that Ionic could only be used by those that embraced Angular. While we loved Angular, we hated the idea that Ionic wasn’t achieving its original goal of being a toolkit for every web developer in the world,” said Max Lynch, CEO of Ionic. 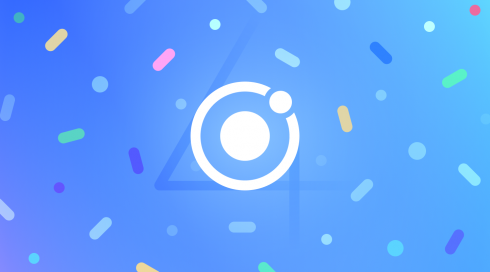 As a result, the Ionic team is referring to the 4.0 release as “Ionic for Everyone” with its newly added support for React, Vue.js and web components. The release includes nearly 100 web components as well as custom elements and shadow DOM APIs, enabling developers to leverage the components for mobile, desktop and progressive web apps. Vue.js and React Ionic bindings are currently available as alpha versions in this release. In addition, the framework aims to target web standards to avoid fragmentation and provides a web-based design system with support for iOS and material design standards. Going forward, the team plans to work on desktop-specific UI support, keyboard scenarios, theming animations, and a Cordova alternative. “Additionally, we are excited about making React and Vue support first-class in Ionic and expect that these frameworks will become a significant percentage of the frameworks used in Ionic apps, so watch for updates on those in the near future,” Lynch wrote in a blog post.